Nov. 6, 2018 – LAKE MILLS, Wisc. – The first class of contractors to graduate from HammerHead University, the world’s most advanced trenchless technique learning center, received manufacturer certification after three days of hands-on, guided instruction Sept. 17. 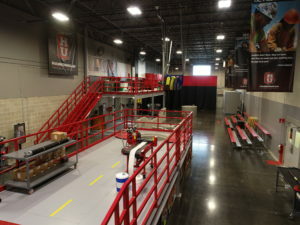 The training facilities and curricula had been officially announced as fully operational at the Lake Mills, Wisconsin, headquarters of HammerHead Trenchless, a Charles Machine Works company, during its annual August sales meeting. Jeff Urbanski, HammerHead Training and Technical Services Manager, said a fully controlled learning environment allows students to focus on the fundamentals of the applications without the distraction of specific, site-based complications. Initially grounded in an application’s principles, students are better prepared to anticipate how such jobsite factors will affect an operation, as well as help them to more quickly determine the root cause of any problem that arises. Courses are led by application experts. 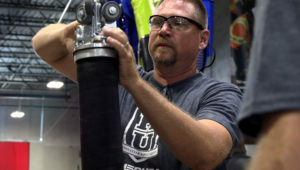 “Our HammerHead University teaching staff consists of former plumbers, knowledgeable factory and industry equipment specialists and experienced field technicians – all highly trusted advisors,” Urbanski said. To enroll or request information about specialized courses, contact HammerHead Trenchless at (920) 648-4848, or go to https://www.hammerheadtrenchless.com/training. Photo 1: HammerHead University, the world’s most advanced trenchless technique learning center. Photos 2-3: Students learn the hands-on curriculum in a distraction-free environment.